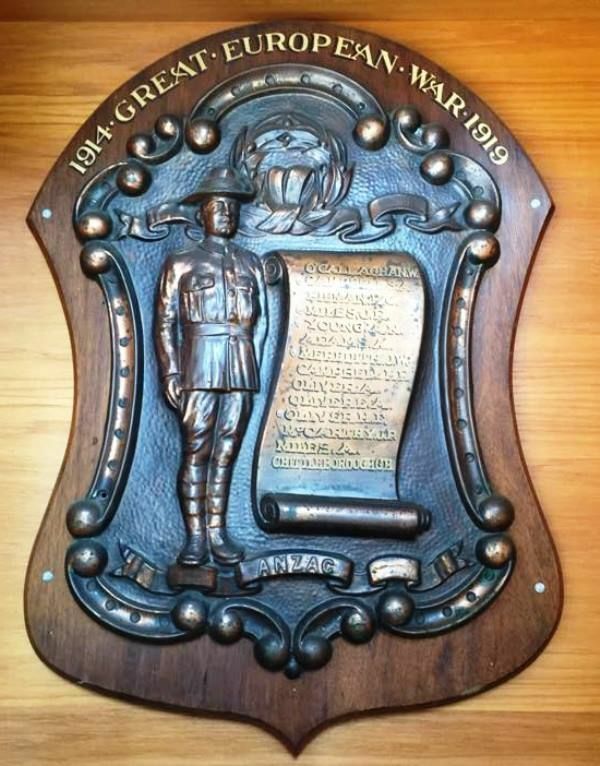 A brass honour roll commemorates those from the district who served in World War One. The roll contains 12 names and was unveiled by Mr. S. Rodgers, the member for Wannon. The Neurparr Red Cross gymkhana was held on Thursday, April 11th, and proved a greater success than ever was expected. The exact amount of the profits is not yet known, but they will not be less than £70. Several of the local residents were unable to attend on account of a fire which started on the day before the picnic. After burning about 300 acres of grass it was got under control. As trees and logs were still burning, and Thursday was somewhat windy, it was advisable to watch it all day. Nevertheless a good crowd gathered at the schoolhouse, and a very enjoyable day was spent in the afternoon. Mr A S Rodgers unveiled the Roll of Honor, and spoke of the great sacrifice these 12 gallant boys who were educated at the Neuarpurr State School made in going to fight for King and Country The audience stood with bowed heads when the names of Cpl J R Miles and Sgt S A Campbell were read out. These two fine young fellows both made the supreme sacrifice, and another, Private H Oliver, has been missing for some time. West Wimmera Mail and Natimuk Advertiser (Vic), 19 April 1918.